The following articles was initially published on PrimeBrokerageGuide.com. The number of stories coming out about prime brokerage hirings, acquisitions, and office moves has doubled over the past two years. This industry is going through some huge changes right now. Here is a recent article out on CitiGroup and Bank of America making changes to their platforms. Citigroup (C) and Bank of America (BAC) are boosting their prime brokerage groups to take advantage of disruption in the business amid the financial crisis, according to published reports. 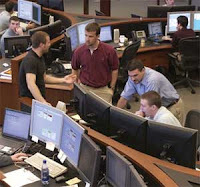 Prime brokerage is the business of providing trading and lending services to hedge funds. Citi has added 18 people this year to its global prime brokerage operations, The Wall Street Journal says. BofA, through its recent acquisition of Merrill Lynch, plans to hire 40 employees for its global financing business. The 800-person group includes prime brokerage and securities lending, among other businesses, the Journal says.